For more two decades, we have been offering a Deferred Compensation Plan to public agency and school employers and their employees. Our commitment always remains the same — to provide financial security, value, low cost and quality customer service to employers and Plan participants. We leverage our financial strength, experience and world class investment management to keep costs low and provide Plan participants unique investment options found nowhere else. We continually seek to discover enhancement opportunities that will not only benefit employees who are currently enrolled, but those who will participate in the future. Log in to my|CalPERS under your agency log-in, and submit your request to add the CalPERS 457 Plan as a new Agreement through your Profile-Agreements page by selecting the Add New. You may also identify if you are interested in our optional Loan and Self-Managed Account Provisions. 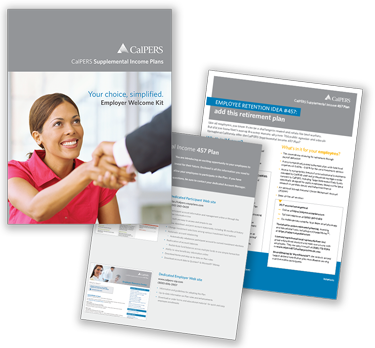 A CalPERS 457 Plan Representative will reach out to your agency to ensure you have the most up to date Employer Adoption Agreement, Model Resolution, and Optional Provisions forms for the Loan Provision and Roth Plan Provision. Have your governing board/entity execute a CalPERS 457 Plan Model Resolution. Complete and mail the Employer Adoption Checklist Coversheet and attach to the appropriate documentation with original signatures. 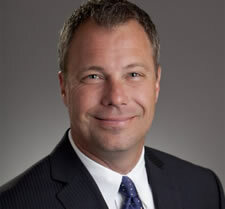 For more information on adding the CalPERS Supplemental Income 457 Plan, please contact our Business Development Manager, Michael Kleczek. The local CalPERS Supplemental Income 457 Representatives are also available to help. Reps are organized by region — you can call or email your local representative today! Meet the team today. We’re ready to help. If you have any questions or need additional information, call Michael at 916-521-2943 and talk with our local experts who know the CalPERS 457 Plan well.